Do you have to move to a different care home once you receive Continuing Healthcare funding? This two-part article looks at an issue raised frequently by families on our blog: It’s about Continuing Healthcare funding and choice of care home or care provider. When you receive NHS Continuing Healthcare funding do you have to move to a different (cheaper) care home or change your care provider at home? Families are also often told that if they want their relative to stay where they are currently, the family will have to pay part of the cost, i.e. top up the NHS Continuing Healthcare funding payments themselves – effectively paying for NHS care. 1. NHS Continuing Healthcare funding cannot be topped up. Top ups are only relevant to local authority means test care – not NHS care. 2. Continuing Healthcare funding must cover ALL assessed care needs regardless of where your relative is receiving that care. 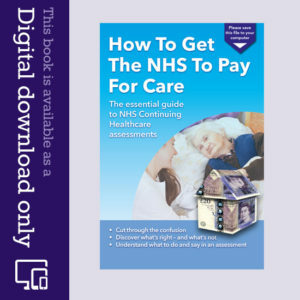 The NHS cannot neglect to fund all care needs identified during the assessment process. 3. Some Clinical Commissioning Groups (CCGs) are trying to impose a financial limit beyond above they will not pay for care. However, if your relative’s needs are high and their care costs are more than the NHS wants to pay, it doesn’t matter; the NHS must fund all the assessed care needs regardless. 4. Remember that when a person receives NHS Continuing Healthcare it’s because their care needs are such that they require NHS care and the NHS is legally responsible for paying – even if the actual care is provided by a private care home or care provider. It’s a bit like receiving care in hospital – you don’t have to pay. In England, just because a person is outside hospital when receiving their care, this principle does not change. 5. Continuing Healthcare is not dependent on where your relative is, i.e. in a care home, at home or elsewhere. That said, there are certain paragraphs in the National Framework guidelines that are useful to mention here. the care provider must have the resource and ability to care for all of those needs – and if the cost is higher because of the needs of the person, the NHS still covers the cost. In other words, you cannot top up NHS Continuing Healthcare funding – and you should not be asked to do so. This would be illegal. It is NHS care funding. Top ups are relevant only to local authority means tested care. It’s worth reading the whole of pages 114-115 in the National Framework in this respect. What if you already have a higher-cost care provider or care home once you become eligible for Continuing Healthcare? We’re going back now to pages 117-119. In other words, it comes back to the care needs every time. This must be the priority. If it would be detrimental to your relative for them to be moved to another care home, the NHS may have a duty to fund all care where they are at present – and to continue to do so. People with cognitive, behavioural and/or psychological challenges often need familiarity as a priority; moving someone with such needs to a new care home or care provider can be extremely damaging to their health and wellbeing. 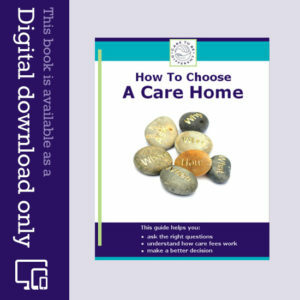 But what if your relative does have to move to a cheaper care home or switch care provider? We look at this in Part 2. My mother has dementia and has been through carers at home, but for the last 6 weeks she has been in a holding ward at the local hospital as she now needs to be fully looked after in a care home. We have a full CHC is place and was told we could now find our own homes as well as the list given to us. Two weeks ago they told us they were moving Mom to a home that we had already visited and agreed with the dementia specialist would not be in the best interest of my mother, so we got injunction in place and this was successful while we looked at other homes. Last week we have found a very suitable home within 10 minutes of my Father (who is 80 years old next year) that has agreed to take mom. Unfortunately this last Monday we were told the mom was being moved to the previously rejected care home and was moved Monday afternoon without any consent from any family member. Can you please advise me on what steps I can take, because the lady involved with authorizing the move is adamant she has done no wrong and has acted in the best interest of the hospital and patient which we 100% disagree with, but even though we have another home she will not listen to our plea. My husband has young onset Alzheimer’s and is now in full time residential care. The care home generally meet his needs, as in all things I know nothing is 100% perfect. I have asked for a review and assessment for NHS Continuing Healthcare (CHC) because I believe his primary health need is his Alzheimer’s and sleep apnea. County have agreed to assess but tell me the home isn’t registered to receive CHC and that if he is successful he would have to move to a home that would deal primarily with behavioural issues. Now my husband’s agitation and paranoia are well managed with medication and good care so I don’t see how moving homes would help my husband. Can anyone confirm whether this scenario is correct? I am wondering if I have been told this to dissuade me from CHC although it would benefit County if we were successful. Any advice would be very welcome. My son is in a critical care unit for nearly 2 months now, he has a peg is situ, needs non invasive ventilation both at day time and night, also requires cough assist, requiring manual shaking, suction and at a high risk of aspiration results in pneumonia or chest infections. He has a cardiomyopathy and respiratory failure. He has unpredicted bowl movements and prone to pressure sore issues. He did qualified for fully funded Continuing Healthcare (CHC) but the CCG refused to implement his needs which was decided by a Multidisciplinary Team (MDT). The CCG only pays £11 pound per hour which includes cost of third party provider, pension contributions, payroll cost, cover for sickness and holidays. The hospital is planning to draft a care plan and MDT very soon. I am trying to sort the mess out for 3 years now but no joy. Does anyone knows any person who can support me with the care plan so that my son can come home. We have just had the Decision Support Tool (DST) meeting for my Mum and were told at the end that they would not be recommending Continuing Healthcare (CHC) although she has very, very high needs, they don’t class them as health!! During the meeting there were a couple of things where they did not follow their own guidelines and even after I pointed them out they still refused to acknowledge them. One was regarding her skin integrity, my Mum is very prone to bed sores and has to be turned every 2 hours and cream applied otherwise they appear and very quickly. The assessors where arguing with me that because there were no open wounds at present it could only be scored low, while I said that it should be high as it is still a need even though it is being managed and if she was to be left there would be open wounds in a matter of a day or so but they weren’t having it. They also said that because her cognition was Severe her mood and emotions could only be Low. Again I quoted their own guidelines that every domain needs to be weighted in their on right, but again they wouldn’t listen. It was logged (I think) that I disagreed. Finally after the decision the assessor did say she was on the cusp of receiving the Funded Nursing Care but then cut us off by saying that my Mum would have to be moved. She has been in a residential home for 3 years so although she is unaware of where she is, she is familiar with the carers and they know her needs very, very well. Moving her to a nursing home where no-one knows her needs would be very damaging so we decided against it. Am I right in thinking that the CHC or the Funded Nursing Care can still be given in a residential home? We can’t decide whether to appeal as we don’t want her to be moved if successful. With the help of your articles, I have just received correspondence confirming that my mum has been awarded Continuing Healthcare (CHC) Full Funding. My question is what happens next? My dad is currently mum’s main carer at home with two self funded carer’s visiting twice daily. As dad’s health is failing we have made the decision that a nursing home would be the best option for mum. What is the process at this point to get mum into a nursing home that the funding will cover or will the funding offered be expected to provide further care at home? Your advice would be much appreciated. Pauline – the primary consideration here is the safety and wellbeing of your dad. As he has two Severe scores and given the nature of his needs, he should be found eligible for Continuing Healthcare funding. For that reason, there is a possibility that the NHS are now looking at things from a cost perspective now, instead of looking at it in terms of where would be best for your dad. We hear this frequently from other families too. Keep reinforcing the point about the NHS having a duty to consider the impact on your dad if he had to move. My mum is currently awaiting a multidisciplinary team (MDT) continuing healthcare meeting to see if she meets the criteria. If she doesn’t I have been told she will have to move to another care home as I can’t afford the top up fees. Is this right, as she had spent £90,0000 and has now run out of money. As I see it, it’s a case of I have had your money now go. Julie – see my responses to P and to G above. My mum is in a lovely home and has just been given Continuing Healthcare (CHC) funding. The home has requested £80 a week payment, as the CHC payment doesn’t cover their bill. Is this correct? It is a lovely home and far nicer than most in the area (and costs almost twice what the local authority pays /charges.) Mum has been self funding until the CHC payment given. P – any shortfall in Continuing Healthcare payments to the care home is a matter that the care home needs to take up with the NHS; the care home should not be coming to you for the difference. The manageress said (just when she was letting me know mum had got CHC funding…I haven’t challenged anything) that the NHS only cover to a certain limit and if we didn’t pay it mum would have to go to a home that charges less. We’re are really worried because my sister-in-law has just been awarded continuing healthcare. She has Vascular Dementia, advanced Parkinson’s, completely immobile, TIAs every couple of months and other things, some detailed below. She was fast tracked for continuing care by a consultant on leaving hospital after the last TIA. We were told by the business manager at her residential care home that, because she now has NHS CHC, she should be in a nursing home and they were only letting her stay out of the goodness of their heart but I put him straight on that. This was whilst the manager of the home was away. We raised on her return and she said that it was no problem at all and she would definitely be staying. Her daughters live in Australia hence the reason why her brother and I have to do everything and we have P of A. The thing is that the owner told us that her daughters still had to pay the top up that they paid when she was LA funded, so they are doing this, but you have pointed out that this is illegal. Our worry is that if we challenge it and the NHS deem it’s not detrimental for her to be moved then she will have to move. This is a lovely home, it is HER home and she sees it exactly as that. All the other homes we saw were horrible. We know that she will deteriorate really quickly if she is moved. The anxiety itself could increase her blood pressure which is extremely dangerous for her as she has a dissected aorta as well as an abdominal aortic aneurysm which could rupture and could also bring on a full blown stroke. CHC is not just for nursing home residents. It doesn’t matter what kind of care home a person is in – it can be residential, nursing, or any other setting. So you were right to correct the business manager on that. LA funded care and NHS funded care are two completely different things, and so it sounds as though the owner doesn’t know what he/she is talking about. Top ups are for LA care only. You may want to quote the National Framework paragraphs to the owner – and reinforce the point about the NHS having a duty to consider what the impact on your sister in law would be if she had to move. There is a conflict of interest between care homes and CHC – because the care home will generally receive less money from the NHS than they would if a person was self-funding or topping up LA care. My brother who has early on-set Parkinsons… he was diagnosed at the age of 32 and is now 46 has just been told he is not eligible for NHS Continuing Healthcare funding. The letter received, following his assessment, states “Information from multidisciplinary assessments has been used to complete a Decision Support Tool which together with other key evidence determines that a Primary Health Need has not been established”. We are going to appeal but first we would like a copy of the report that was sent to Panel. Can we ask for a copy of the report and if so who do we ask. We are getting absolutely no sense from the Social Worker (when she does bother to return our calls/emails,)nor from the district nurses who came out with the social workers to do the assessments. The report, apparently, was re-submitted to the Panel on at least three ocassions as they were asking for additional information before making a decision. When I pushed to know what additional information were they wanting, the district nurse told me “bits and bobs” and refused point blank to tell me what info they wanted. I also wanted to know who was on the Panel and if we could attend the Panel … apparently not. I want to know what was put in the report as I am concerned that they have misled the Panel in terms of my brother’s medication. We found out from an Advocate, that the social worker had actually said to her that my brother sometimes refused to take his medication, which is so not true and if this had been put in the report then it could have weighed heavily on the outcome. Any advice appreciated. Jane – if you are acting as your brother’s representative or you have power of attorney, you should have a copy of the completed Decision Support Tool (DST). This is usually sent by the CHC team, after the multidisciplinary team meeting. You should also have a copy of the original Checklist. It’s vital to have these documents, especially the DST, otherwise you can’t easily appeal what’s been said and done. The National Framework guidelines make it clear that the family should be kept involved at all times, and should be invite to inout into all assessments. It sounds as though some of those people involved in your situation are being very vague, and that seems suspicious. Family members don’t usually attend the actual decision making panel, but must be involved in the multidisciplinary team discussions that lead to the funding recommendation.